If you’re poised on the edge of buying your first home, you have some huge decisions ahead of you. Those decisions will impact your financial position for years to come, and potentially shape the entire financial future of your family. Although the housing boom appears to be coming to an end, property prices are still rising fast in many regions across New Zealand. It’s getting harder and harder to get on the property ladder, and many first home buyers are having to make painful compromises – buying in an undesirable area or locking themselves into a crippling mortgage. Neither of these is a smart long-term move. After all, the one thing you can’t change about your home is its location, and it’s extremely risky to borrow every cent you can. When you apply for a home loan your lender will look carefully at your income and outgoings to find out how much you can afford to repay. Tip: You can also do this, by using our Borrowing Calculator here. The lender will be keen to lend you as much as they believe you can afford, because the more you borrow, the more interest you’ll pay. But just because you can borrow more, that doesn’t mean you should, especially if you have a low-deposit (high-LVR) mortgage where your deposit is less than 20%. If house prices fall, you could end up in negative equity, where you owe more on your mortgage than your property is actually worth. This means you won’t be able to sell your property even if you urgently need to move, unless you have other resources to cover the rest of your debt. If your income falls or your expenses rise and you struggle to cover your repayments, you could end up losing your home. Even if you take out mortgage protection insurance this won’t help you if you want to make voluntary changes such as changing career, setting up your own business or starting a family, so you could find yourself trapped in an unfulfilling job because you can’t afford to leave. The sooner you pay off your mortgage, the less your home will cost you. 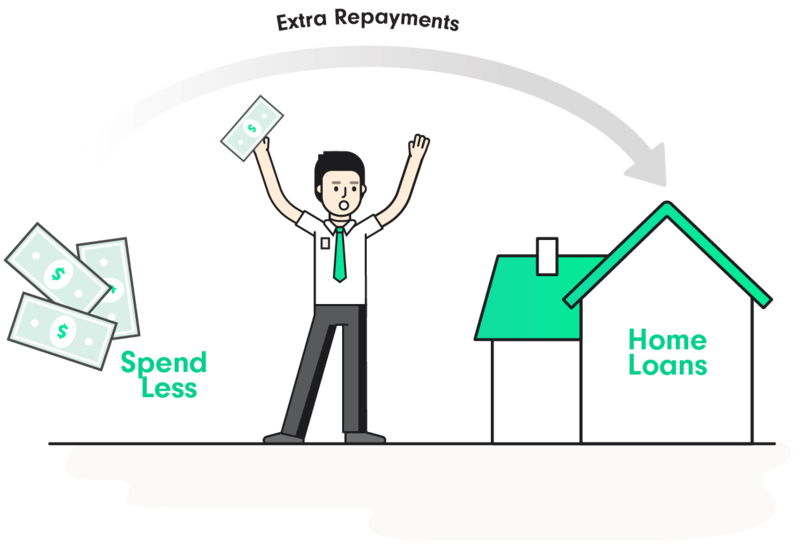 If you can afford to make extra payments and shave even a few years off the term of your loan, you’ll save yourself thousands of dollars in the long term. But if you’re fighting just to make your minimum repayment each month, you’ll never get the chance to get ahead – and the only winner will be the bank. Financial pressure can put a major strain on your health and your relationships. Having some spare cash at the end of each month means less stress and a better quality of life for you and your family. 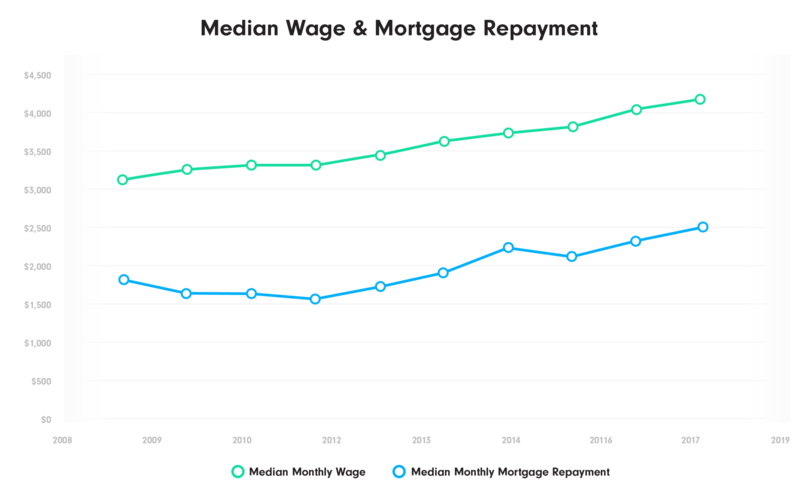 The following graph shows the historical median wage and median home loan repayment. As you can see, there’s not much left to play with after paying the mortgage payment each month. 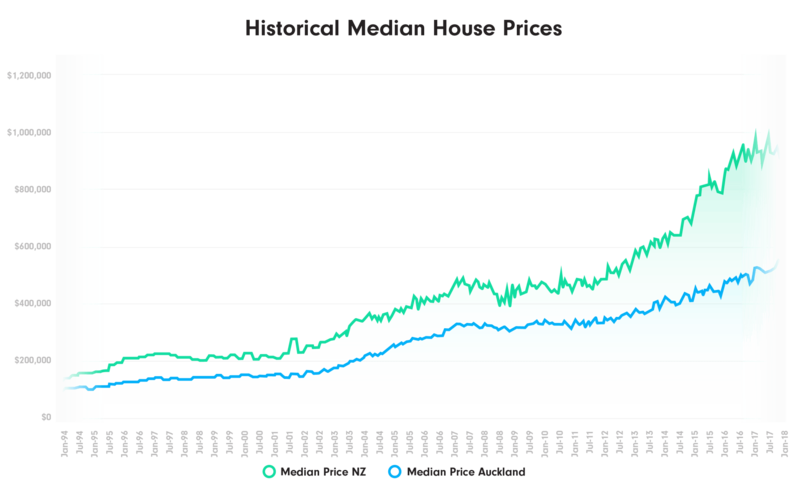 The next graph shows the historical median house price in NZ as a whole, and Auckland. So if you have your heart set on a certain area, and you don’t want to mortgage yourself to the hilt, what can you do? Well, there’s one smart compromise you can make – and we’re pretty sure you’ll never regret it. BUY SMALL. According to Stats NZ, the average floor space for a new home in New Zealand in 2016 was 182 square metres, compared with 110 square metres in 1974 – a staggering 60% increase. At the same time, occupancy rates are dropping, meaning that smaller families are inhabiting these larger houses, and a lot of the space is barely being used. 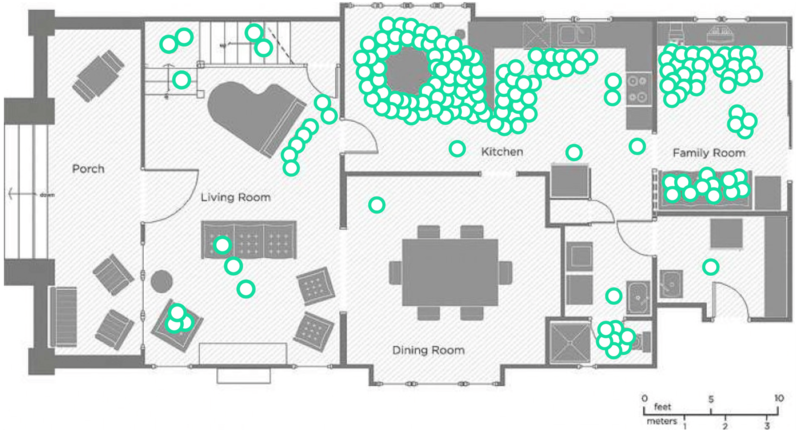 The following image shows where a family spent most of their time over two weekday afternoons and evenings. The more bricks, timber, tiles, rooms, walls, pipes and wires you own, the more things can go wrong. Maintenance on a large home can be shockingly expensive, even if you’re a DIY guru and can manage most of the repairs yourself. Even when things are ticking along smoothly, the costs mount up fast in a bigger home. It will cost more to cool in summer and heat in winter than a more compact property, and when the time comes to refresh your decor, you’ll face a hefty outlay on paint, carpets and varnish. Bigger homes often come with big gardens. Great if you have green thumbs and a passion for gardening, but it’s staggering how fast grass, bushes and plants grow, and just keeping on top of the mowing and pruning can soon feel like a major chore. It takes a lot of time and effort to keep a big house clean. And your time is precious. Who wants to spend every weekend scrubbing and dusting instead of relaxing with friends or family? You could always get a cleaner, of course, but that’s a luxury few first-home buyers can afford. It’s not just your bank account (and your free time) that will suffer if you buy a bigger home – the environment is also taking a major hit from the increase in house sizes. A recent study by the Victoria University of Wellington showed that, on average, New Zealanders spend 55 percent of their time in what they describe as the ‘core’ house – the occupants’ bedrooms, the living room, dining room and kitchen. Extra bedrooms, ‘specialised’ rooms like media rooms and additional living spaces make little difference to the way people use their homes, but have a huge impact on the environmental footprint of the property. 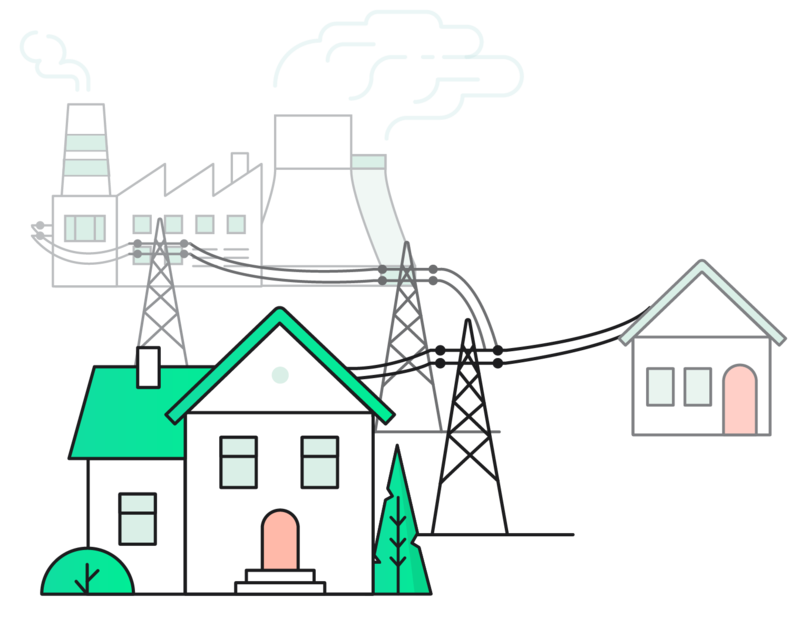 Larger houses take more resources to build, are filled with more furniture and appliances (all of which have short life-spans and have to be replaced regularly), and above all consume more energy. 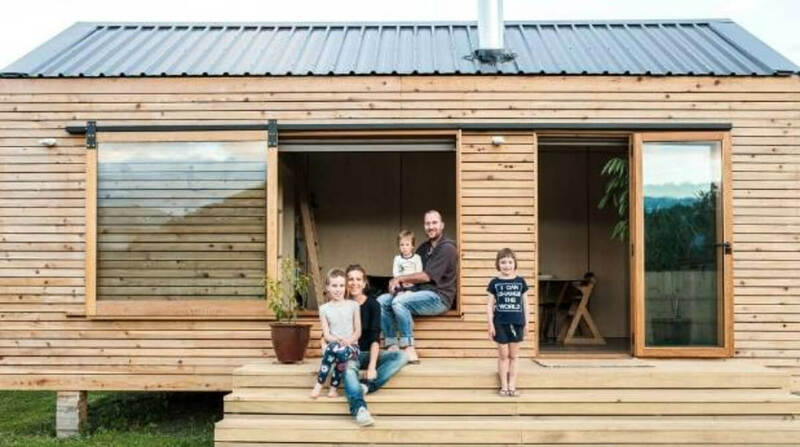 With the average NZ household paying more than $2000 per year for electricity alone it makes both financial and environmental sense to opt for a smaller house where you’ll get use and value out of every room. Given all the drawbacks of owning a bigger house, it’s hardly surprising that many Kiwis are choosing to buck the trend and pare down to the absolute minimum. 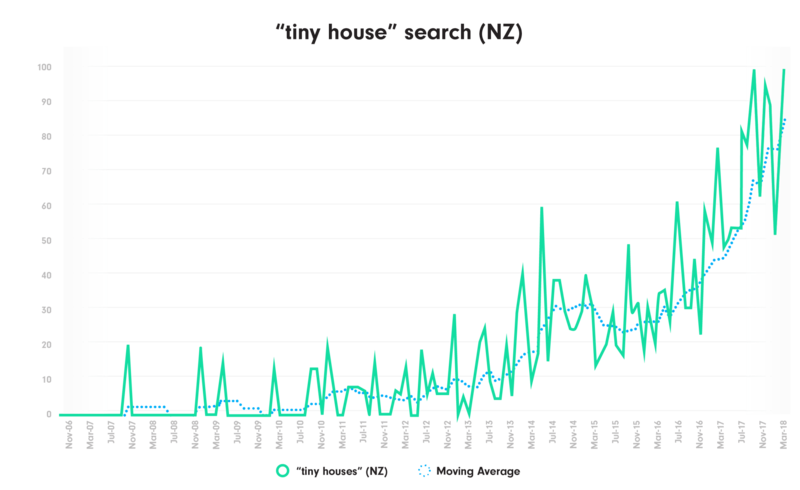 A quick Google search for ‘tiny houses’ will show you how strong this movement has become – you’ll find scores of builders across New Zealand who specialise in creating custom-built minimalist houses. Numbers represent search interest relative to the highest point on the chart for the given region and time. A value of 100 is the peak popularity for the term. A value of 50 means that the term is half as popular. A score of 0 means that there was not enough data for this term. These tiny houses, which are often built on wheels so you can even change location, are expertly designed to make the maximum use of every inch of space. Many of them combine fun, quirky designs with energy-friendly smart technology and eco-friendly materials. Tiny house living has become particularly popular with first time buyers and ‘empty-nesters’ who no longer need a large family home. The main drivers? Avoiding large debt, and living a simple life without clutter. Advocates of the minimalist lifestyle claim that it has powerful benefits across every aspect of life – people who choose to live with fewer possessions have more money, more time, more flexibility and less stress. These days, living without clutter is becoming easier and easier, thanks to digital technology and the rise of a culture that values ‘access over ownership’. 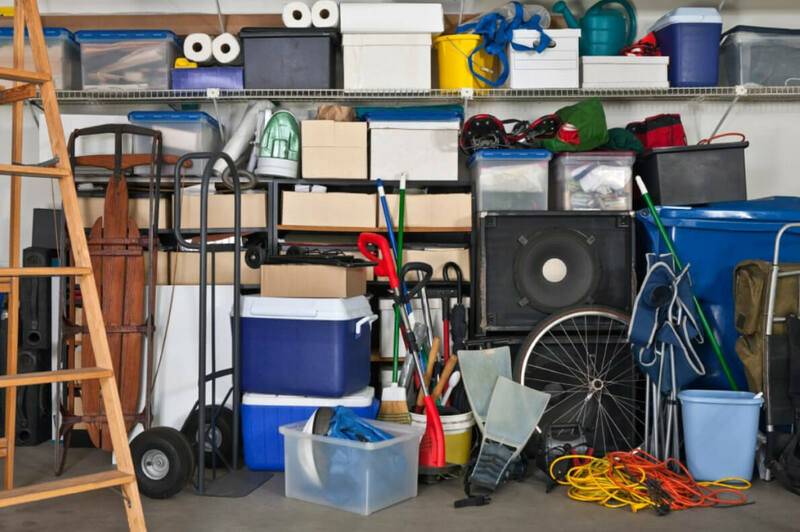 Just take a look in the average garage, shed, cupboard, spare-room, loft… you’ll probably find a common occurrence… stuff that never gets used. Community car-sharing services like Cityhop and Yourdrive, not to mention Uber, mean that many city-dwellers are saving the expense of owning – and garaging – a car. Meanwhile, digital downloads and media streaming services like Netflix, Lightbox and Spotify, mean that people no longer need space to store large libraries of books, music and movies. All of this shows that if you’re just starting out on your exciting, first-home journey, there’s a lot to be said for thinking small. After all, if you’re not going to use the space day-to-day, and won’t even need it to store your possessions, why pay for it? Rather than saddling yourself with a giant mortgage, or sacrificing location to get an affordable home, think hard about how much space you really need. A smaller house in the perfect street could be just the solution you’re looking for, leaving you with more money in your bank, more time to travel or hang out with the people you love, and the peace of mind to relax and enjoy your lovely new home. Compare your home loan options and see whether a small house is best.